We’re back for another look into the hottest pickups and stay-aways in fantasy baseball in week two. I haven’t looked at the numbers yet as I write this, but if Jarrod Parker who burned me the 1st two weeks of the season isn’t here, I’m going to be sad. El Oso Blanco isn’t messing around. He’s not just a great story, but he sure can hit. Gattis became just the 42nd player since 1916 to have 10 RBI’s in their first nine career games. He has four home runs and is playing everyday between catcher and first base with Freddie Freeman on the DL. Things will become iffy for Gattis’ playing time when Freeman and Brian McCann come back, but for now, the clean-up hitter on one of the better lineups is a must-own at catcher. I’ll also give some love to last weeks pop John Buck who was added in another 70% of ESPN leagues this week. 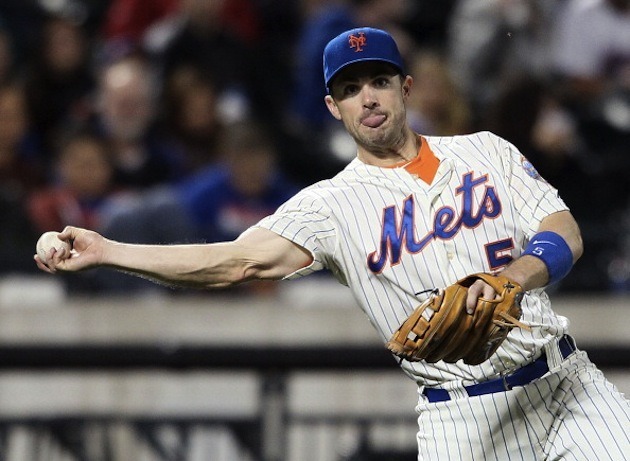 Buck has been amazing for the Mets offense. One of my predicted pops from last week, Maholm hasn’t given up a run yet this season. Since that’s not going to continue, I hope you snagged him and can sell high to help you elsewhere, go right ahead. 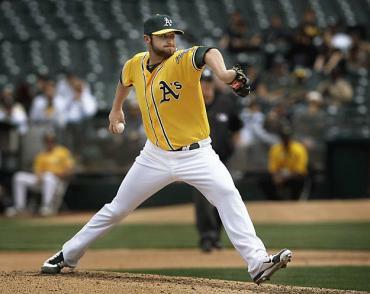 John Axford is out of the closer’s role for now. If you didn’t pay for saves, snap up Henderson if he’s still out there. It’s better than trying to catch fire with the Cubs bullpen that is without Kyuji Fujikawa and won’t give the job back to Carlos Marmol. If I had to own on Cubs reliever, it’d be James Russell. Same goes for the Tigers bullpen, but at least they have a pitcher the manager says will get the 9th inning work in Joaquin Benoit. Don’t be afraid of the words “Houston Astros”, their players can help your fantasy team too. Carter has pop (four home runs in 2013, 16 in 2012 in just 218 at-bats) if you’re looking for power, Carter can help you at a corner infielder or utility spot. He’s still available in a lot of leagues. Man, has Parker been frustrating. He was supposed to have a two-start week in week one that got changed into one start. He then proceeds to get rocked in his actual two-start week against the Angels and the Tigers. He’s gone from a must-start to spot-starter in two weeks. One of the best players in spring training hasn’t carried it over to the regular season. Bradley could be on the verge of a ticket back to the minors for some more seasoning. His defense might be what saves him from that fate, but defense doesn’t count in fantasy baseball. For Gattis and Buck to be added in the amount of leagues they have, someone needs to take the fall and it’s Lucroy and Montero for now. I would definitely throw them on to a watch list and at the sign of them heating up, pick them back up. The walk-off home run for Lucroy on Sunday against the Cardinals, could be that turning point. This is no April Fools prank: Baseball. Is. Back! 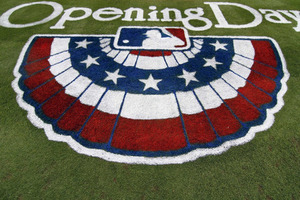 After the Houston Astros dis–hey…stop laughing…it really happened–dismantled the Texas Rangers last night at Minute Maid Park, we had our first full day of baseball today. Naturally, ESPN kicked it off with proof that they are extremely stubborn as a network, pitting C.C. Sabathia and the hobbled Yankees versus Jon Lester and the completely average Red Sox. There were so many amazing moments in a long day of ball that it was hard to narrow down to just five. But here is our best shot at it. This is what we do at Three Up, Three Down. 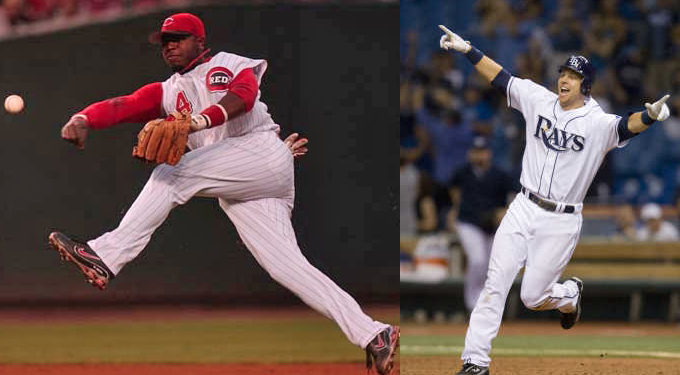 We write stuff on baseball-related activities for your enjoyment. So, enjoy! Welcome to Atlanta, where the playa’s play and Upton hits bombs like every day. No disrespect to Freddie Freeman, who also went mammo today, but this Justin Upton blast was put in orbit. And it’s not just a top moment because of the distance–the Braves outfield is the most freakish in baseball, and this is just the first sampling. The Braves faithful have been waiting for this moment since the original trade was made, and the little bro definitely didn’t disappoint. One of KP’s least favorite memories of the 2012 season was any blown save by John Axford and Co. If you see our tallest group member, give him a hug. Because Axford was at it again on Opening Day, giving up a no-doubter with two outs in the ninth to the Rockies’ Dexter Fowler, which tied the game. Fortunately for Milwaukee and the home fans, the Rockies pitching staff is deplorable and Jonathan Lucroy was able to score a walk-off sac fly and bail the bullpen out. If there was any debate that last year’s NL Rookie of the Year would suffer from a sophomore slump, he killed it quick. In his first two at-bats of the 2013 season, Bryce Harper absolutely crushed two Ricky Nolasco pitches and put them in the right field bleachers. I’m not buying that his second one has landed yet. In fact, it might currently be traveling over the Atlantic Ocean. Keep an eye out for it. The 20-year-old phenom is on pace for 324 jacks this year. 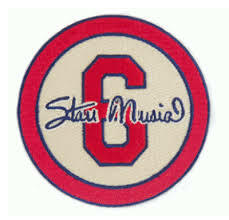 The late Cardinals legend and Hall of Famer Stan Musial is being honored by the team with a cool, classy patch (pictured to the right) on their left sleeves in 2013. But the Arizona Diamondbacks, who hosted the Cards on Opening Day, pulled off a fantastic move by paying homage with a video tribute to Musial between innings. Unfortunately, I don’t have video for you, but the gesture itself was a true act of sportsmanship and remembrance of one of the greatest hitters and humans the world has ever seen. Let me set the stage: The defending champions travel to their heated rival’s new stadium and face their fancy new team in a battle between two of the best pitchers in the league. A pitcher’s duel turns into a one-man show as Dodgers starting pitcher Clayton Kershaw not only throws a complete game, four-hit shutout, but hits a go-ahead home run that breaks a scoreless tie in the eighth inning. Unbelievable. And in a game that began with a well-choreographed first pitch skit from Dodgers heroes Sandy Koufax and Orel Hershiser. I have to take a second to brag, as humbly as possible. I tweeted THIS about five minutes before magic occurred. Of course it was a coincidence but it makes me believe in fairy tale endings, and reinforces our love of this magical sport. Buckle up, baseball fans. This was just day one. Only 161 more regular season games to go! Vote below on which one of these moments should have been in the top five, or comment about any moments we missed! Follow @3u3d on Twitter and like Three Up, Three Down on Facebook! The best baseball coverage, coming at you from five different states and five different fan bases. The World Baseball Classic returns for the 3rd time starting March 2nd. Fellow blogger Jeremy Dorn gave his rankings of every team in the WBC last week. (I haven’t figured out how he has South Korea 11th either) I wanted to delve more into team USA’s chances and how the roster stacks up. Final Thoughts: Team USA will have a real shot at knocking Japan off the top of the WBC mountain. The coaching staff with Joe Torre, Greg Maddux, Dale Murphy, Gerald Perry, Larry Bowa, Willie Randolph, and Marcel Lachemann is top notch. 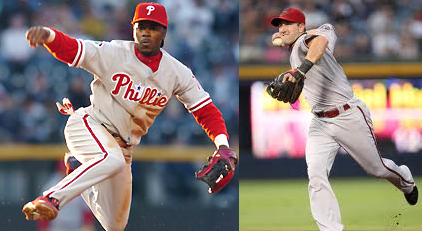 The only real question marks are at shortstop and left-handed pitching to me. I believe that if the starters can get a lead to the bullpen though, USA will be dangerous. I expect at least another run to the semi-finals and a trip to San Francisco. Every team at that level is so talented, it’s going to come down to the little things to decide the champion. Three Up, Three Down comes back this week to recap the big news in baseball. We also touch on our biggest surprises and disappointments this far in the season. It also wouldn’t be a “Three Up, Three Down” without our 3U3D Fantasy segment, which has brought you quite a few winners over the last few weeks. Sit down, grab your favorite beer, and take a listen to this week’s episode. Thanks for listening!! Don’t forget to follow us on Twitter, like us on Facebook, and subscribe to the podcast! Each year, 68 Major League Baseball players (34 from each league) descend upon a pre-determined city to wear tacky uniforms and watch their friends and teammates hit ridiculous home runs. This year, it is Kansas City’s turn to host the All-Star Game. And as with every year, there are more than 68 deserving players. Even more intriguing sometimes than the players who do make it to the All-Star Game are the ones who got snubbed. With the game determining home-field advantage for the World Series (one of the worst rules ever created in any game anywhere…ever), stakes have been raised in recent years. Still, with fan vote factoring in and the inevitable, biased manager’s choices to fill out the rosters, players are going to get snubbed. Ellis has handled the Majors’ 2nd-best pitching staff flawlessly to this point in the season, and has kept his average fluttering around .330. The most impressive stat that the National League squad will miss out on is his ability to get to 1st base. As of play today, Ellis has racked up an astounding .444 on-base percentage. The crop of deserving N.L. catchers is just too large this season. You have to think Yadier Molina (St. Louis) and Buster Posey (San Francisco) will make it on fan vote alone. And I can’t see Carlos Ruiz of Philadelphia being snubbed, which leaves no room for the quietest great catcher of the season. 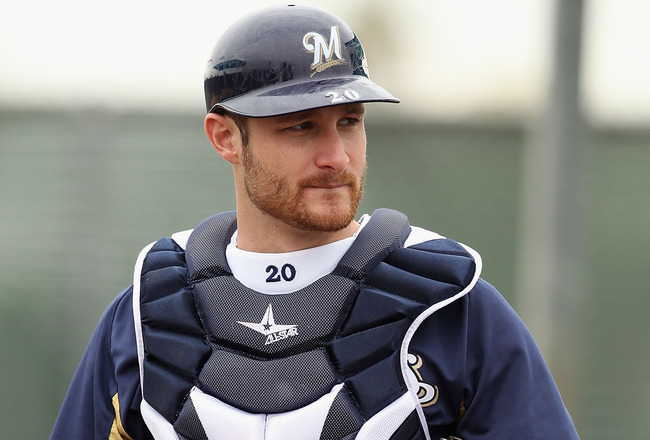 Lucroy’s line right now: .343/5/29/.386. Erik Bedard is getting a ton of credit for his comeback performance in the rotation this season, and deservedly so. But the guy nobody is talking about is the electric righty who has finally put all his talent together into one unhittable package. 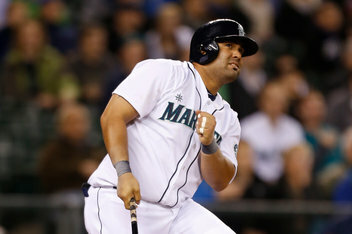 One that won’t be making the All-Star Game, despite a 2.51 ERA, 0.99 WHIP and .198 batting average against. Three Up, Three Down’s first MLB player to join the podcast has been stellar since joining the rotation in San Diego. Aside from two hiccups, he’s allowed 3 ER or less in all of his starts in 2012. In 54.1 innings as a starter in 2012, Bass has given up just 22 earned runs. Unfortunately, his run support hasn’t been all that great, so his record doesn’t reflect his performance. LaHair was a sight to behold for the first month of this season. He’s cooled off considerably, which won’t help him get to Kansas City. Not only is the poor guy going to miss the All-Star Game even with a .301/10/21/.397 line, but he’ll probably lose his starting spot to Anthony Rizzo as soon as the Cubs call him up. I hope LaHair can play outfield! David Price is going to get the Rays’ guaranteed All-Star bid, and James Shields might sneak in as well. That leaves the most dominant closer in baseball to this point (you read that right), wondering what he could have done better to get to K.C. It’s a popularity contest, and there just won’t be room for poor Fernando and his 15 saves or 0.38 ERA. I can’t imagine anyone besides Jim Johnson and Adam Jones (who are absolute locks) going to the All-Star Game from the first-place O’s. Despite a ridiculously hot start to the season, Hammel is going to be squeezed out by pitchers like C.C. Sabathia, Yu Darvish and Felix Hernandez. Poor guy. His 6-1 record and 2.78 ERA is going to waste. How about D-Lowe this year? The old man still has some nasty sinkerballs in him, and he’s showing it. Lowe has been the veteran anchor on a first-place Cleveland staff, but we all know this kind of success won’t last; ask a Braves fan. Just because we know it’s a fluke, doesn’t mean Lowe and his 6-2 record and 2.15 ERA are any less deserving of a spot. This may be the biggest snub of them all, but nobody knows who Cook is outside of Oakland. His 0.00 ERA so far in 22.2 innings is incredible, as is his 21 K’s, 4 hits allowed and 0.78 WHIP. But how is Cook going to be selected over Jim Johnson, Jonathan Broxton and Chris Perez for the bullpen? This may be the first time ever a pitcher who hasn’t allowed a first-half run gets snubbed. Sigh. What a shame. Playing in his team’s stadium, no less. But you’ve got to understand that the American League DH spot is going to David Ortiz, and the first baseman slots will be filled by Albert Pujols, Prince Fielder and Adrian Gonzalez. Don’t forget, this is still a popularity contest. Butler has been the best of the bunch at .292/9/32, but he may need the Final Vote to get the spot he deserves. Who else do you think will be snubbed? Let me know in the comments below! Also, is the home-field advantage rule stupid? Comment away!